While I agree with the higher purpose for gardening as stated by May Sarton, my driving motivations for getting down in the dirt are more worldly: I like pretty things. I like food. And food I grow tastes much better than food I buy! 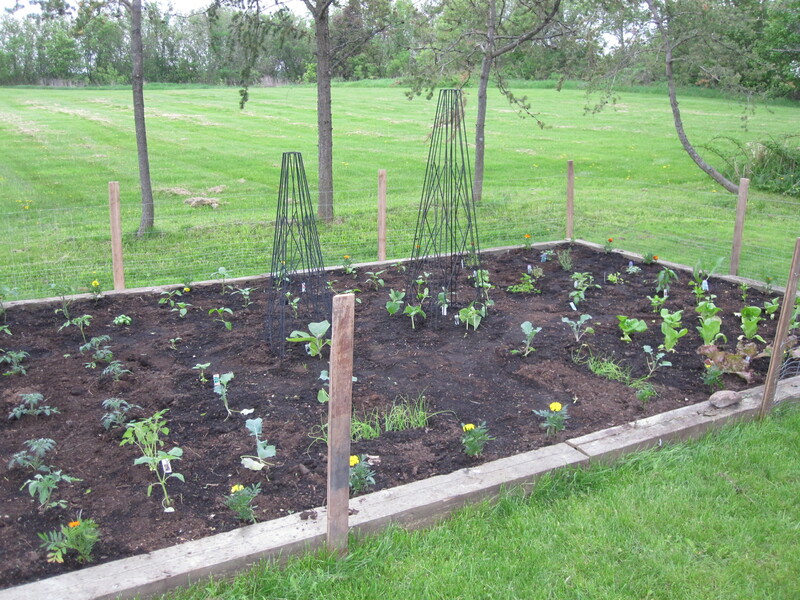 Back in the fall, we made a down payment on a vegetable garden. We measured out a healthy space and made it official with some hand-me-down railroad ties from Mike’s parents. With a few loads of dirt and bags of compost scored at a gardening center auction, we had a solid garden-to-be. It finally felt like spring/summer last weekend, so we shopped, planted and now have a real vegetable garden! I was giddy in a tube top (hey, I want food, not a farmer’s tan), smelling of sunblock, dirt all over my clothes, and my husband working along side me! Being out in the sun was totally invigorating! My garden inspiration will forever be Jane’s (Meryl Streep) garden in “It’s Complicated” (mediocre movie, but fantastic styling indoors and out, typical of Nancy Meyers movies). While mine isn’t exactly that fantastic, I do think it is nevertheless quite pretty (and much more practical, though I’m certain we will have more tomatoes than we need). I can’t wait for it to fill out! I’m very excited about the cucumber obelisk! 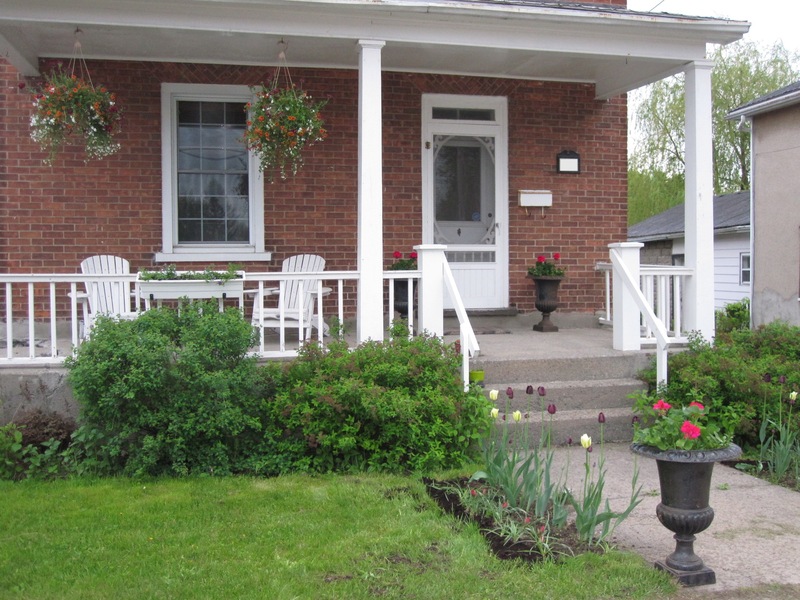 We also did some purely cosmetic gardening around and at the front of the house, adding hanging baskets and potting other flowers and herbs (that will hopefully join us inside in the fall). While mostly I look forward to the food, I do appreciate the less tangible benefits of feeling connected to nature and being outside in the freshness. And every day when I come home from work, the bright blooms decorating my house always make me smile! That sense of accomplishment from something purely for fun and enjoyment definitely contributes to my overall well-being. Do you grow food? Flowers? ← Am I an Entrepreneur? 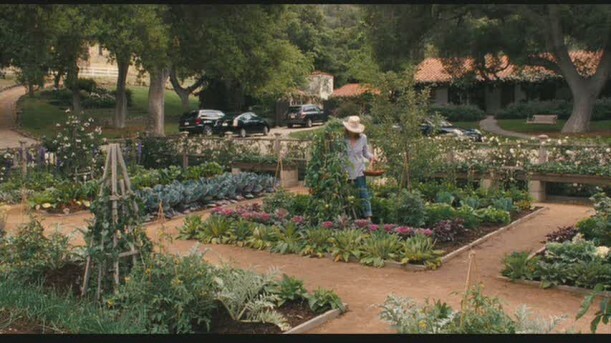 I have to admit, I watch “It’s Complicated” over and over again so I can drool over Meryl’s ‘house and garden’. Yours is beautiful, too. 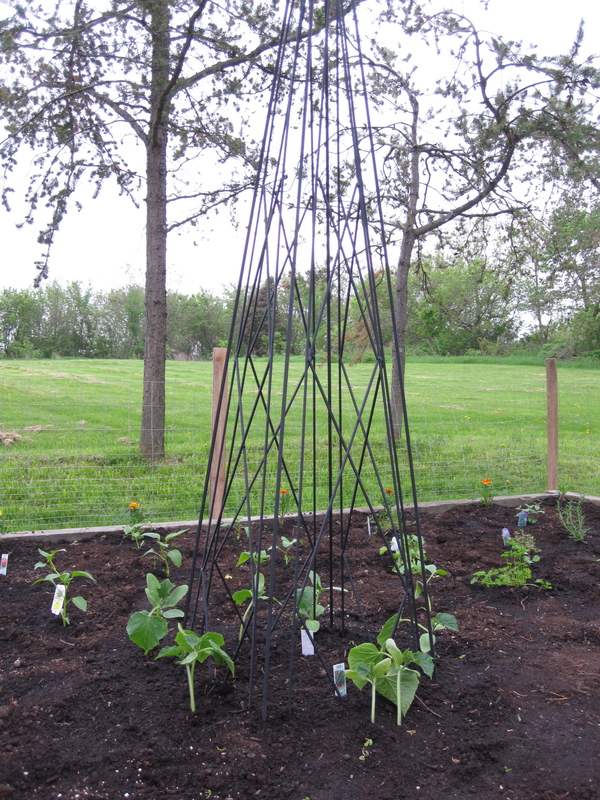 I’m inspired to add a structural element for my cucumbers this year! Good luck with your garden. We are growing just a few things this year after a 2-year garden hiatus due to weather, and I can’t wait for the first fresh tomato. Welcome to world of gardening Jean! It is one of my all time favorite hobbies! Nothing tastes better than food you’ve grown yourself! Thanks, Rachel! Yeah, this is the first serious garden I’m doing as an adult. My parents always had huge gardens though, so I’ve been spoiled most of my life and pretty much have to grow my own tomatoes if I want them because I don’t bother with store-bought! I’m in awe. What do you do about squirrels? Just wondering. We don’t have tons of squirrels, but we do have a fence around the perimeter (well, we’ll be finishing it this weekend). Hopefully that will be adequate. We also have a big dog who is happy to hang out and chase squirrels so we’re hoping he’ll be a good deterrent. We shall see, though!